Twitter has revealed plans to strengthen its video content in Asia Pacific after striking more than 50 deals with publishers and broadcasters covering sports, entertainment and news. The announcement expands the premium video content available on Twitter to advertisers in Asia Pacific and builds on extensions of existing global and regional content deals. Red Chillies Entertainment, Vh1 Supersonic, Comic Con India, Network 18, Scoopwhoop, NDTV, Filmfare and CricBuzz are among the 12 Indian partners that Twitter will collaborate with to bring new content to audiences in the country and opportunities for Indian advertisers. 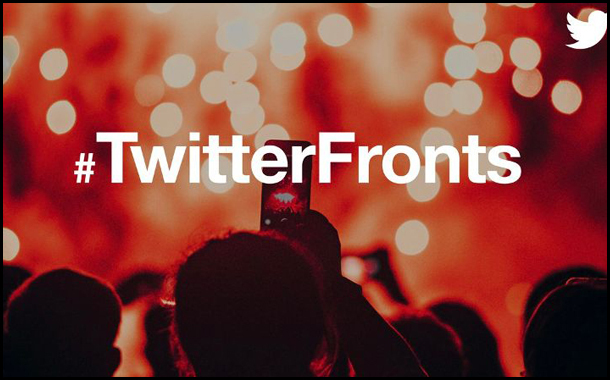 At the TwitterFronts event in Singapore, Twitter executives including Global Vice President of Content Partnerships, Kay Madati and Vice President of Asia Pacific Maya Hari presented the content partnerships to brand and agency partners in the region. They were joined by guest speakers including Christine Fellowes, Managing Director, NBCUniversal, Avinash Kaul, COO, Network18, Shanna Murady, CCO, FMA Indonesia, CK Lee, VP Of Sports Content, Astro Malaysia, Binda Dey, Head of Marketing, Red Chillies Entertainment, Talina Cruz, Senior Manager, Digital Marketing & Visual Content, Sony Music, and Serene Lee, Head of Sales, VICE, among others. Shrenik Gandhi, Chief Executive Officer and Co-Founder, White Rivers Media shares, “Gone are the days where marketers used to say, video is the next big thing. Video is obviously, the current big thing. With each and every top social network putting in energies to increase the video consumption habits on the network, the battle is not of market share right now, but of stickiness on the features and content. More content creators generate better engagement on the network, resulting to better time spent and greater mind share. Shradha Agarwal, COO ,Grapes Digital Pvt. Ltd, commented, “Twitter was one of the first social platforms which garnered strong user participation and became a truly engaging platform. As it evolved along with other platforms, it soon became a great place to air one’s opinions, follow category leaders and even discover breaking news. More importantly, from a brand perspective, it has become a great place to launch new products, track user sentiments, engage with them directly, create trends and more. As part of campaign platforms, twitter ranks highly in a planner’s spectrum as a digital place that always triggers in high engagement. At Grapes, we have also been in-step with every innovation that Twitter has brought in. Be it the #ManforcePowerplay or #WorldOfNexaBlue campaign, we have always been at the forefront of using the platform changes and use them as brand innovations for our clients. All of this was hunky dory, but one thing that it has always sort of lagged in, was storytelling.